There is a small sub-set of gamers out there who would have you believe Sony’s introduction to the hand-held gaming market with the PSP was an embarrassing failure. They might point fingers at the console’s disquieting lack of core, blockbuster titles; or the rampant piracy issues that plagued both the PlayStation Portable and the DS alike; maybe the PSP Go’s humdrum launch. But it’d be remiss to think so - the PSP has been a phenomenal success story for the company, selling over 71.4 million units worldwide as of September 2011 and putting it ahead of the likes of the Xbox 360, PS3 and NES. Over its life-span (we’d consider it pretty dead and buried now), the PSP also boasted some of this generation’s best games; including Ready at Dawn’s superb God of War portable spin-offs and Kojima Productions’ more-or-less-fully-fledged-sequel Metal Gear Solid: Peace Walker. 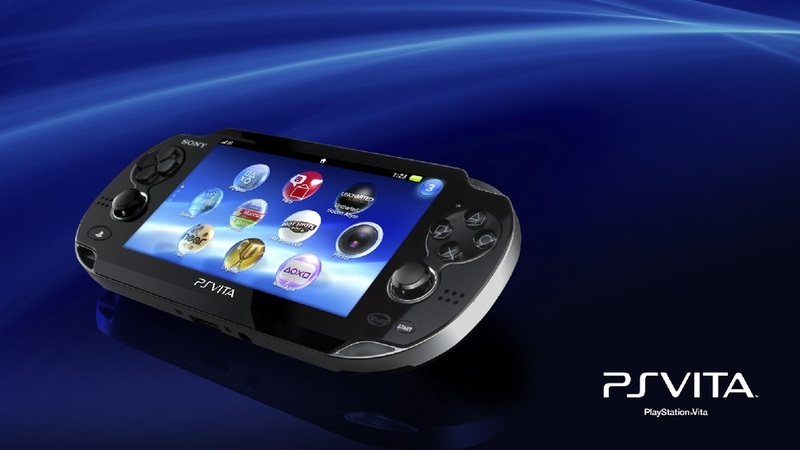 Which is why the PlayStation Vita launch can’t come soon enough in our eyes. Though that same sub-set of gamers will be writing it off already, there’s no denying that the PSP’s successor is a marvelous piece of kit. Sony will do well if the Vita can right the few wrongs of the PSP; including better first-party support, overturn the insubstantial cross-compatibility with the PS3 (Remote Play looks terrific) and enforce stricter piracy protection. On the hardware side of things, the Vita packs a quad-core processor, 5-inch OLED touch screen, a rear touch pad, motion sensors, dual analogue sticks (a hideous oversight in the original) and front and rear facing cameras. Sony has also replaced the never-good-in-the-first-place Universal Media Disc format for a flash-based game medium. Expect big things. Starring the go-to man for these types of action movie roles, Denzel Washington, and shot in a grainy, very raw style full of over-saturated colours and fast edits, Safe House appears to be a Tony Scott film through-and-through. Except that it's actually not. In fact, directorial privileges have been handed to relative newcomer Daniel Espinosa most well known for being behind Swedish crime thriller Easy Money. That he's been handed the reigns to a $85 million project starring Mr Washington and Green Lantern himself Ryan Reynolds ought to bring home the faith the studio has in his talents. Safe House exemplifies early-year cinematic releases all too well – a time often reserved for late Oscar frontrunners to find an audience or entertaining if shallow, forgettable action flicks (see Contraband, Man on a Ledge). We needn't tell you which category this release falls into, what looks to be a by-numbers thriller in which a CIA safe house keeper (Ryan Reynolds) plays host to on-the-run rogue agent Tobin Frost (Denzel Washington), a traitor of the U.S. Government who must fight to survive as the house is set upon by ruthless mercenaries looking to silence him once and for all. Though we're usually known to run from vampire flicks as fast as, well, we'd run from actual vampires (with the market for such blood-thirsty fodder being as over-saturated as it is right now), Fright Night peaks our interest for reasons we can't quite pin down. It might be the fact that this remake of the 1985 original of the same name doesn't take itself too seriously (this is, after all, a film in which a teenager suspects his neighbour of being a blood-sucking vampire), or the film's quite brilliant cast; a fang-tastic Colin Farrell, David Tennant, Christopher Mintz-Plasse and, favourite of ours, Anton Yelchin (previously seen hamming it up in J.J. Abrams' 2009 Star Trek reboot, and playing Mel Gibson's teenage tearaway son in Jodie Foster's The Beaver). Fright Night is also but one of a handful of films so far shot in 3D (joining the ranks of Avatar, Resident Evil: Afterlife and The Amazing Spider-Man) and is sure to be a bold and bloody cinematic feast. Let's just hope it can avoid the pitfalls of the vampire/high-school dynamic woefully interpreted in the Diablo Cody-written Jennifer's Body.